The package of shares should pass from Akhmetov to the state of Ukraine. The Kyiv Economic Court of Appeal has left unchanged the decision of the first-instance court in the lawsuit of the State Property Fund on the termination of the contract on the sale of Ukrtelecom, acting SPF chair Vitaly Trubarov said on Facebook on Wednesday, 13 December. "The court voided an agreement of purchase and sale of 92.791% stake in Ukrtelecom, concluded between the Fund and the company ESU. PJSC State Export-Import Bank of Ukraine will have to write off the ESU stake in PJSC Ukrtelecom from ESU accounts to the account of the state of Ukraine. The court imposed a fine of 81.9m dollars on ESU in favour of the state budget of Ukraine for the failure to fulfil investment obligations. ESU is obliged to pay 243,200 hryvnyas in court fees in favour of the Fund," Trubarov wrote. He did not specify the when the ruling was issued. The court decision comes into force upon consideration in the court of appeal, despite a possible cassation. In February 2017, the audit by the State Property Fund discovered the non-fulfilment by ESU of the privatisation plan that provided for an investment of at least 450m dollars over five years. 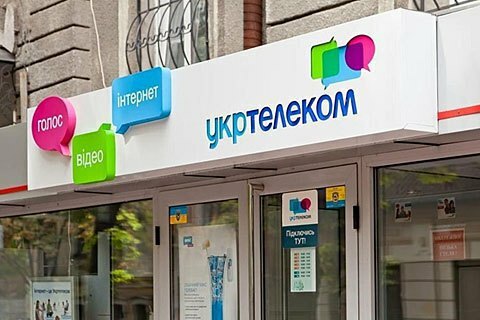 Ukrtelecom also failed to comply with the condition to transfer the special purpose telecommunications network into state ownership. The 92.79% state-owned stake was sold in 2011 to ESU, a Ukrainian subsidiary of the Austrian firm EPIC, which, in turn, was owned by five individual residents of Austria. Two years later, Rinat Akhmetov's SCM bought ESU along with Ukrtelecom's stake.